Prathong 4 Islands: 2 Days 1 Night. The Eco Tour with the Eco Living. 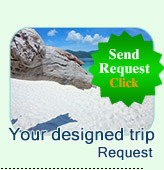 "The unique trip provided by Jc.Tour only"
The special short trip as you are having holiday in Phuket, or Khaolak. 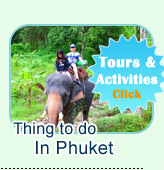 Jc.Tour offers the best things to do and the best place to do visit as holiday being in Phuket. It is a as the short Period excursion away from the main Vacation Resort in Phuket or Khaolak, And it can make your holiday time get more value - 2 Days 1 Night Excursion. What do we recommend? Please read the detail, the program of the Package as well as see the highlight pictures before submit the booking. We stop on Ra Island for do easy snorkeling. The snorkeling is shallow water, more easy to jump down from the beach or boat to see the nice Seafan Garden. The tourist who had did snorkeling here show two thumps up - This should be the number one of Andaman Sea for Sea Fan Reef. Big Egg Island (Or Khai Yai Island) is the one of Andaman Pearl. Surrounding is the colorful of coral garden. We stop on this island for snorkeling. As well as relaxing and discovery on the Island. And the Pling Island is the small one located near Koh Prathong Island. And it is in front of your overnight resort - Moken Life Eco Resort. Just paddle the canoe boat to discover this small island as well as snorkeling. The Moken Life Eco is the Resort which Jc.Tour had selected for overnight of Customers. It is located near the beach. All the rooms are nice Eco style Decorated. The in front of the the bungalow beach is nice for swimming and paddle the kayaking for snorkeling all the time. 08:30 AM Arrival the Kuraburi Pier. 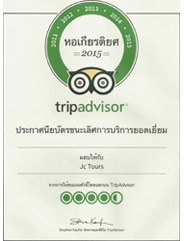 Jc.Tour Staff service and take care with drinks as the brieffing program by Tour Guide. - Local Boat leave from the pier directly to Big Egg Island (Koh Khai Yai) - The beautiful Andaman pearl Island of Thailand. The garden of Seafan is the site for snorkeling here. - Afterward, we stop at Koh Ra Island for More funny Snorkeling. The arround of this island are full of house reef. Snorkeling, Relaxing, Swimming or Walking around the Island. 13:00 PM Arrival Prathong Island. - Check In the nice Bungalow on the Beach amid the 100% Nature of Hidden Island. - Lunch Served at the restaurant on the Beach. 15:00 PM The staff prepare the canoe boat with the snorkeling gears for you. Paddle the canoeing to the Pring Islands (Two Small Wild Islands) They are in front of the resort beach. - Snorkeling at this small islands are very nice. Clear Water and the coral reef is so Beautiful. 17: 00 PM Come back to the Resort. - Relaxing over the nature. - Served on the Beach amid the sunset for Dinner. 06:00 AM Early morning wake up for Discovery the Savanna Forest on the Island. The situation of Savannah here is full of wild nature. We saw many wild beautiful birds, Butterfly and many other wild animals upon occasion. As well as the slow life of local people, fishing village and animal hunters. - Relaxing on the Beach or Discovery more along the Island. 11:00 AM Check Out and leave the Island. 12:00 PM Arrival the Pier. 13:00 PM Having Lunch at Kuraburi Resort. 16:00 PM Arrival the Hotel in Phuket.